While gutters are most often “out of sight and out of mind,” don’t fall into the trap of underestimating the importance of quality gutter installation. Professionally installed gutters may be one of the most important investments you make in your home because of their ability to prevent all kinds of interior and exterior water damage. No roofing system is complete without gutters. Water in all forms can cause extensive damage to siding, windows, foundation, landscaping – and anything else in its path. Properly installed gutters carry water a safe distance away from your home, keeping water from infiltrating and causing leaks, basement flooding and eventual structural damage. With many coordinating materials and colors to choose from, gutters can also be used to boost your home’s resale value and enhance its curb appeal. The kinds of gutter repair Columbus, Ohio homeowners need can range from replacement or redirection of certain sections of gutters and downspouts to completely replacing the entire gutter system due to disrepair or rust. In the category of gutter repair in Columbus, Ohio, members of Angie’s List have consistently awarded us high marks, which is why we have received the Super Service Award many years in a row. We are grateful to have earned the trust of so many Columbus homeowners and appreciate all the great reviews. Would You Like to Stop Cleaning Your Gutters? No one enjoys spending hours on a shaky ladder digging out leaves, twigs and slime from their home’s gutters. Hundreds of people across the United State get seriously injured each year while trying to clear their gutters. While it is important to keep the gutters clean, it makes more sense to keep leaves and debris out in the first place! That’s why Muth & Company is pleased to offer the Leaf Relief gutter protection system. No other gutter protection system in the Columbus area offers a more effective shield against leaves and debris in your gutters, so that water can flow freely without additional maintenance. Leaf Relief is suitable for all gutter styles and withstands exposure to sun, wind and weather extremes. The ideal time to install Leaf Relief is when your roof and gutters are replaced. If you’re not doing a roof replacement but still want better gutter protection, ask Muth & Company Roofing to give you an estimate for a Leaf Relief system for your home. 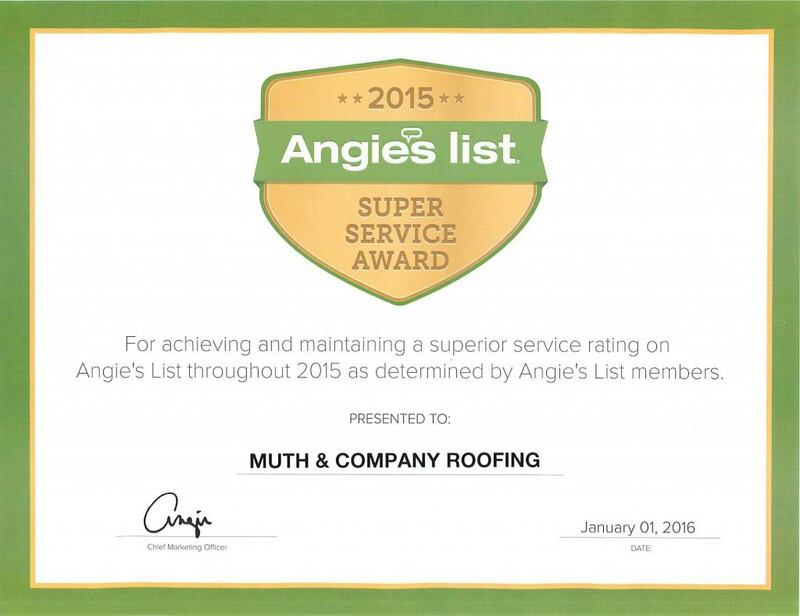 For the best gutters, Columbus, Ohio, residents turn to Muth & Company Roofing! Save Up to 10% Now on Leaf Relief! Purchase a new Leaf Relief gutter protection system from Muth & Company Roofing and save up to 10% on your project. Call today! Call Muth & Company Roofing today at (614) 882-0900 to arrange for a FREE estimate on Columbus gutter repair or Columbus gutter replacement, or simply fill out the form to the right and we’ll contact you within one business day to schedule an appointment. Our service areas include Columbus, Westerville, Delaware, Worthington, Dublin, Bexley, Gahanna, New Albany and nearby communities in Ohio.